Recent articles about the U.S. military presence in Japan. Odd Couple: Frank and Paul Target Military Spending (NPR): “We don’t need 15,000 marines in Okinawa – they’re a hangover from a war that ended 65 years ago. 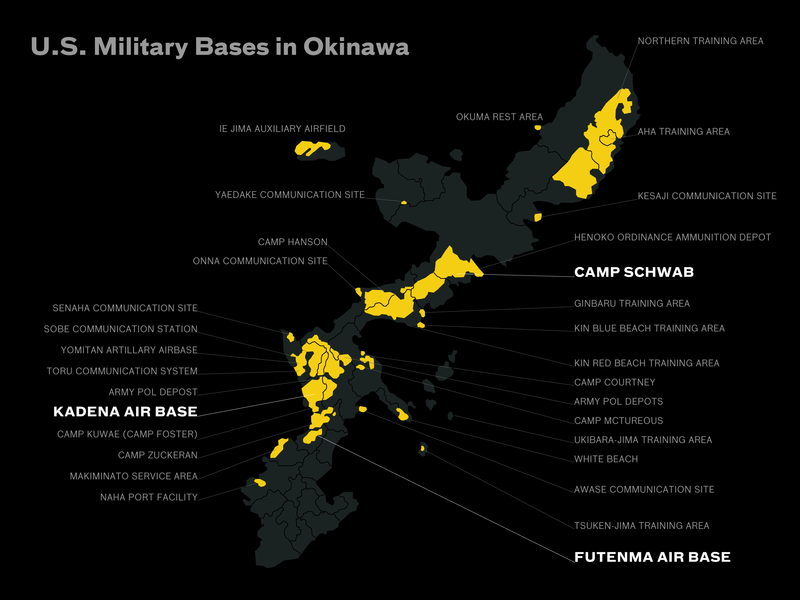 Breaking up is Hard to Do: Blog post about recent political changes in Japan and their impact on the issue of U.S. military bases in Japan. Background surrounding the presence of U.S. bases in Japan. The Girard Incident: Summary of case where a U.S. soldier shot a Japanese woman in the back, sparking a major crisis in U.S.-Japan Relations. Dugong v. Rumsfeld: Summary of case brought by environmental organizations against the U.S. Department of Defense to protect the Okinawa Dugong, a nearly extinct cousin of the manatee.